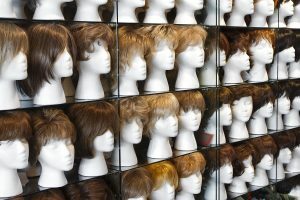 As more and more cancer patients visit our new Wig and Turban room, the Canadian Cancer Society urgently requires more volunteers to help wash wigs, headscarves and turbans for those women who need them. Volunteers will help to wash the real and synthetic wigs, turbans and other headscarves as they come in as well as help to maintain the room so it continues to be a warm and inviting place for women who are looking for these items. There are no set volunteer hours as volunteers can come by our office anytime they are available during our office hours to help. You can volunteer as many hours as you wish. Also feel free to contact Maria Cabral at mcabral@ontario.cancer.ca or call 344-5433 for more information. You may also visit our local Canadian Cancer Society office at 1093 Barton Street Monday to Friday 9am-5pm.